108 Commercial Real Estate & Properties in Surfers Paradise are listed in 6 categories. We have 48 OfficesSale & Lease , 36 Retail ShopsSale & Lease , 13 Hotels and LeisureSale & Lease , 9 Development LandsSale & Lease , 1 Industrial Warehouses Sale & Lease and 1 ShowroomsSale & Lease . 81m2 of available office space Full fit out comprising of reception, boardroom, office, kitchenette and open plan Located next door to Bruce Bishop Car Park Surrounded by cafes and coffee shops Excellent rent Available now Approx Disclaimer: Ray White has not independently checked any of the information we merely pass on. We make no comment on and give no warranty as to the accuracy of the information contained in this document which does not constitute all or any part of any offer or contract by the recipient. Prospective purchasers / lessees must rely on their own enquiries and should satisfy themselves as to the truth or accuracy of all information given by their own inspections, searches, inquiries, advices or as is otherwise necessary. No duty of care is assumed by Orchid Avenue Realty trading as Ray White Surfers Paradise Commercial divisions toward the recipient with regard to the use of this information and all information given is given without responsibility. Central Office Only $200 Per Week + Gst $200 Per Week + GST (Incl..
30m² Second floor office walk up Office plus reception/second office Would suit small or start up business Looks over Orchid Avenue Shared kitchen bathrooms Ducted air conditioning Basement parking at a great rate Approximately Disclaimer: Ray White has not independently checked any of the information we merely pass on. We make no comment on and give no warranty as to the accuracy of the information contained in this document which does not constitute all or any part of any offer or contract by the recipient. Prospective purchasers / lessees must rely on their own enquiries and should satisfy themselves as to the truth or accuracy of all information given by their own inspections, searches, inquiries, advices or as is otherwise necessary. No duty of care is assumed by Orchid Avenue Realty trading as Ray White Surfers Paradise Commercial divisions toward the recipient with regard to the use of this information and all information given is given without responsibility. For Lease - Office & Retail Premises $1,400/sqm pa + outgoings..
A Grade Building | Great Internal Lighting | Prestigious Location $100pw | 5 Person Workspa..
PROPERTY OVERVIEW $100pw Price incl. Premier serviced office in the most prestigious commercial building in Surfers Paradise. Enjoy panoramic ocean and hinterland views from this brand new workspace along with a light, fresh and modern style to keep you motivated and inspired. This global office provider specialises in flexible workspaces and great meeting room facilities at affordable prices, devised to make it easier for entrepreneurs, SMEs, project teams and corporate firms to achieve success. With a coworking desk or private office space you’ll also benefit from access to training and meeting rooms, high speed internet, reception and admin support, printing stations, casual breakout areas, kitchen facilities and an onsite coffee bar. Outstanding value for money from one of the world’s longest standing workspace brands and in one of Surfers Paradise’s top serviced offices. Tours available daily and enquiries welcome. This leading serviced office is in the iconic 50 Cavill Avenue building, a distinctive A Grade commercial tower incorporating cutting edge technology and brand new facilities. With four sides of natural light, three prominent street entrances and a location in the heart of Surfers Paradise’s commercial precinct just steps from the world famous Main and Broadwater Beaches, it has attracted notable tenants such as Nine Network Australia, Mantra Group, PWC and CBRE. The 22 floor commercial tower offers 446 secure basement car parking spaces, six high speed destination control lifts, energy efficient air conditioning, a 3 Star Nabers Rating and state of the art end of trip facilities. Surrounded by cafes, restaurants, retail, business services and beaches, this attractive building makes doing business on the Gold Coast an absolute pleasure. The advertised office space is perfect for a team of 5. If you need more or less space, we have over 30,000 furnished workspaces all over the world suitable for a team of 1 to 200+. Our award winning team offer a free service that will help you find the perfect solution for your needs, so reach out if you need more help. What you get for your weekly rent , 24 x 7 security and access , Private furnished office with desks, chairs , Electricity usage included , Unlimited kitchen supplies, incl. tea, coffee, filtered water (fees apply per person) , Prestigious business address to put on your cards , Flexible terms from 1 month 2 years , Ability to bring your existing phone number over , Complimentary receptionist to meet and greet your clients , Regular cleaning , Unlimited commercial grade internet service Building features , Abundance of natural light , Air conditioning , Architecturally awarded building , Bicycle storage , Company branding in foyer , Disabled access and facilities , Onsite Cafe / Restaurant , Taxi / Uber stand close to building 100m to shops, bars and restaurants 200m to bus stops on Cavill Ave, Gold Coast Highway & Beach Road 5 min walk to the beach Close to shopping malls, cafes, shops, pubs in fact everything! Who is Office Hub? Office Hub is the world\'s No.1 marketplace for office space. We have a huge global selection of coworking spaces, serviced offices and shared office spaces with flexible options to suit teams from 1 200 people. We\'ll take you on a tour of all the workspaces that fit your needs and work on your behalf to get the best price possible. We\'ll help you discover how shared office space can be the most beneficial and budget friendly solution for your business. www.office hub.com Conditions apply – the advertised price includes any incentives offered based on a 12 month agreement and is available to new tenants only. Please note that the rental rate may increase for a shorter rental period. A portion of the square meterage factors in access to shared space. A Grade Building | Great Internal Lighting | Prestigious Location $100pw | 8 Person Workspa..
PROPERTY OVERVIEW $100pw Price incl. Premier serviced office in the most prestigious commercial building in Surfers Paradise. Enjoy panoramic ocean and hinterland views from this brand new workspace along with a light, fresh and modern style to keep you motivated and inspired. This global office provider specialises in flexible workspaces and great meeting room facilities at affordable prices, devised to make it easier for entrepreneurs, SMEs, project teams and corporate firms to achieve success. With a coworking desk or private office space you’ll also benefit from access to training and meeting rooms, high speed internet, reception and admin support, printing stations, casual breakout areas, kitchen facilities and an onsite coffee bar. Outstanding value for money from one of the world’s longest standing workspace brands and in one of Surfers Paradise’s top serviced offices. Tours available daily and enquiries welcome. This leading serviced office is in the iconic 50 Cavill Avenue building, a distinctive A Grade commercial tower incorporating cutting edge technology and brand new facilities. With four sides of natural light, three prominent street entrances and a location in the heart of Surfers Paradise’s commercial precinct just steps from the world famous Main and Broadwater Beaches, it has attracted notable tenants such as Nine Network Australia, Mantra Group, PWC and CBRE. The 22 floor commercial tower offers 446 secure basement car parking spaces, six high speed destination control lifts, energy efficient air conditioning, a 3 Star Nabers Rating and state of the art end of trip facilities. Surrounded by cafes, restaurants, retail, business services and beaches, this attractive building makes doing business on the Gold Coast an absolute pleasure. The advertised office space is perfect for a team of 8. If you need more or less space, we have over 30,000 furnished workspaces all over the world suitable for a team of 1 to 200+. Our award winning team offer a free service that will help you find the perfect solution for your needs, so reach out if you need more help. What you get for your weekly rent , 24 x 7 security and access , Private furnished office with desks, chairs , Electricity usage included , Unlimited kitchen supplies, incl. tea, coffee, filtered water (fees apply per person) , Prestigious business address to put on your cards , Flexible terms from 1 month 2 years , Ability to bring your existing phone number over , Complimentary receptionist to meet and greet your clients , Regular cleaning , Unlimited commercial grade internet service Building features , Abundance of natural light , Air conditioning , Architecturally awarded building , Bicycle storage , Company branding in foyer , Disabled access and facilities , Onsite Cafe / Restaurant , Taxi / Uber stand close to building 100m to shops, bars and restaurants 200m to bus stops on Cavill Ave, Gold Coast Highway & Beach Road 5 min walk to the beach Close to shopping malls, cafes, shops, pubs in fact everything! Who is Office Hub? Office Hub is the world\'s No.1 marketplace for office space. We have a huge global selection of coworking spaces, serviced offices and shared office spaces with flexible options to suit teams from 1 200 people. We\'ll take you on a tour of all the workspaces that fit your needs and work on your behalf to get the best price possible. We\'ll help you discover how shared office space can be the most beneficial and budget friendly solution for your business. www.office hub.com Conditions apply – the advertised price includes any incentives offered based on a 12 month agreement and is available to new tenants only. Please note that the rental rate may increase for a shorter rental period. A portion of the square meterage factors in access to shared space. A Grade Building | Great Internal Lighting | Prestigious Location $198pw | 1 Person Workspa..
PROPERTY OVERVIEW $198pw Price incl. Premier serviced office in the most prestigious commercial building in Surfers Paradise. Enjoy panoramic ocean and hinterland views from this brand new workspace along with a light, fresh and modern style to keep you motivated and inspired. This global office provider specialises in flexible workspaces and great meeting room facilities at affordable prices, devised to make it easier for entrepreneurs, SMEs, project teams and corporate firms to achieve success. With a coworking desk or private office space you’ll also benefit from access to training and meeting rooms, high speed internet, reception and admin support, printing stations, casual breakout areas, kitchen facilities and an onsite coffee bar. Outstanding value for money from one of the world’s longest standing workspace brands and in one of Surfers Paradise’s top serviced offices. Tours available daily and enquiries welcome. This leading serviced office is in the iconic 50 Cavill Avenue building, a distinctive A Grade commercial tower incorporating cutting edge technology and brand new facilities. With four sides of natural light, three prominent street entrances and a location in the heart of Surfers Paradise’s commercial precinct just steps from the world famous Main and Broadwater Beaches, it has attracted notable tenants such as Nine Network Australia, Mantra Group, PWC and CBRE. The 22 floor commercial tower offers 446 secure basement car parking spaces, six high speed destination control lifts, energy efficient air conditioning, a 3 Star Nabers Rating and state of the art end of trip facilities. Surrounded by cafes, restaurants, retail, business services and beaches, this attractive building makes doing business on the Gold Coast an absolute pleasure. The advertised office space is perfect for a team of 1. If you need more or less space, we have over 30,000 furnished workspaces all over the world suitable for a team of 1 to 200+. Our award winning team offer a free service that will help you find the perfect solution for your needs, so reach out if you need more help. What you get for your weekly rent , 24 x 7 security and access , Private furnished office with desks, chairs , Electricity usage included , Unlimited kitchen supplies, incl. tea, coffee, filtered water (fees apply per person) , Prestigious business address to put on your cards , Flexible terms from 1 month 2 years , Ability to bring your existing phone number over , Complimentary receptionist to meet and greet your clients , Regular cleaning , Unlimited commercial grade internet service Building features , Abundance of natural light , Air conditioning , Architecturally awarded building , Bicycle storage , Company branding in foyer , Disabled access and facilities , Onsite Cafe / Restaurant , Taxi / Uber stand close to building 100m to shops, bars and restaurants 200m to bus stops on Cavill Ave, Gold Coast Highway & Beach Road 5 min walk to the beach Close to shopping malls, cafes, shops, pubs in fact everything! Who is Office Hub? Office Hub is the world\'s No.1 marketplace for office space. We have a huge global selection of coworking spaces, serviced offices and shared office spaces with flexible options to suit teams from 1 200 people. We\'ll take you on a tour of all the workspaces that fit your needs and work on your behalf to get the best price possible. We\'ll help you discover how shared office space can be the most beneficial and budget friendly solution for your business. www.office hub.com Conditions apply – the advertised price includes any incentives offered based on a 12 month agreement and is available to new tenants only. Please note that the rental rate may increase for a shorter rental period. A portion of the square meterage factors in access to shared space. Fantastic Main Road Exposure - Reduced Rent! $700 Per Week + GST (Incl..
Centrepoint Resort Arcade, currently two shops available wanting to find a unique key food/retail operator. Frontage to the G:Link tram line Surfers Paradise Boulevard. Shop 3 can be also combined with Shop 2 giving you a total of 112m2 fitted with cold room, grease trap and Al Fresco area. 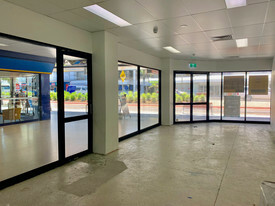 Shop 3 $700 per week + GST 52m² retail shop Corner tenancy with massive signage potential Grease trap connection in place 1 free allocated car park Motivated Landlord will look at all reasonable offers! Approximately Disclaimer: Ray White has not independently checked any of the information we merely pass on. We make no comment on and give no warranty as to the accuracy of the information contained in this document which does not constitute all or any part of any offer or contract by the recipient. Prospective purchasers / lessees must rely on their own enquiries and should satisfy themselves as to the truth or accuracy of all information given by their own inspections, searches, inquiries, advices or as is otherwise necessary. No duty of care is assumed by Orchid Avenue Realty trading as Ray White Surfers Paradise Commercial divisions toward the recipient with regard to the use of this information and all information given is given without responsibility. 161sqm of ground floor office space Fit out with offices, reception, kitchen, bathroom open plan Short walk to cafe precinct Ready to move into Available now. Approx Disclaimer: Ray White has not independently checked any of the information we merely pass on. We make no comment on and give no warranty as to the accuracy of the information contained in this document which does not constitute all or any part of any offer or contract by the recipient. Prospective purchasers / lessees must rely on their own enquiries and should satisfy themselves as to the truth or accuracy of all information given by their own inspections, searches, inquiries, advices or as is otherwise necessary. No duty of care is assumed by Orchid Avenue Realty trading as Ray White Surfers Paradise Commercial divisions toward the recipient with regard to the use of this information and all information given is given without responsibility. Arguably Surfers Paradises' best priced retail with large incentive offerings for quality operators. Prominently positioned on Surfers Paradise Boulevard directly under the iconic iFly attraction, and smack bang between Cavill Avenue and Q1 retail precinct, these brand new tenancies are ready immediately for all levels of operation. Cold shell offerings include all necessary services for FB Tenancies ranging from 38m2 to 185m2 Shop 3 120m2 , Shop 4 64m2 Shop 7 38m2 (Shops 3 4 can be amalgamated to create 185m2 ) Suited to an array of services, boutique retail, FB, small bar or tourism Rear laneway access for all delivery requirements Brand new amenities on site All serious levels of interest considered contact exclusive listing agents to arrange your time to inspect Approx Disclaimer: Ray White has not independently checked any of the information we merely pass on. We make no comment on and give no warranty as to the accuracy of the information contained in this document which does not constitute all or any part of any offer or contract by the recipient. Prospective purchasers / lessees must rely on their own enquiries and should satisfy themselves as to the truth or accuracy of all information given by their own inspections, searches, inquiries, advices or as is otherwise necessary. No duty of care is assumed by Orchid Avenue Realty trading as Ray White Surfers Paradise Commercial divisions toward the recipient with regard to the use of this information and all information given is given without responsibility. 67m² retail shop/office Potential access to grease trap Ideal for cafe/takeaway, chemist/convenience store, office, tour desk, etc. Open plan shop ready to personalise to your business needs Available now! Approximately Disclaimer: Ray White has not independently checked any of the information we merely pass on. We make no comment on and give no warranty as to the accuracy of the information contained in this document which does not constitute all or any part of any offer or contract by the recipient. Prospective purchasers / lessees must rely on their own enquiries and should satisfy themselves as to the truth or accuracy of all information given by their own inspections, searches, inquiries, advices or as is otherwise necessary. No duty of care is assumed by Orchid Avenue Realty trading as Ray White Surfers Paradise Commercial divisions toward the recipient with regard to the use of this information and all information given is given without responsibility. 83m² commercial office/retail space Allocated car parks with additional visitor parking Suitable for small to medium business such as accounting firm, law firm, financier, etc. Outgoings included in rental price Open plan office with one managers office Plenty of natural lighting Recently renovated and painted Available immediately, call to inspect! Approximately Disclaimer: Ray White has not independently checked any of the information we merely pass on. We make no comment on and give no warranty as to the accuracy of the information contained in this document which does not constitute all or any part of any offer or contract by the recipient. Prospective purchasers / lessees must rely on their own enquiries and should satisfy themselves as to the truth or accuracy of all information given by their own inspections, searches, inquiries, advices or as is otherwise necessary. No duty of care is assumed by Orchid Avenue Realty trading as Ray White Surfers Paradise Commercial divisions toward the recipient with regard to the use of this information and all information given is given without responsibility. Abundance Of Natural Light | Free Street Parking | Shared Workspace $220pw | 2 Person Workspa..
PROPERTY OVERVIEW $220pw Price incl. This stunning Surfers Paradise office has a range of workspaces for rent including 1 2 person private offices and upto six coworking desks with flexible options to accommodate different sized teams. A complete renovation has transformed this space into one of the most stylish offices in Surfers Paradise with ceiling height glass doors, matt finishes and green plants. Unique modern furniture adds to the chic image and included in the rental is 24/7 access, high speed Wi Fi and regular cleaning. The furnished space comes with desks, chairs and personal storage and you’ll enjoy access to relaxed but smart breakout zones including a kitchen and welcome area. Tenants from any industry are welcome but relatively quiet (non phone based) businesses will be preferred as the semi open plan space is shared with another small business. This office is situated in the Thornton Tower, a primarily residential apartment building of 15 floors located at the southern end of Surfers Paradise. Right next to a light rail station, with excellent road links and just a walk from shops, restaurants and the beach, this office space will provide its new tenants with a fantastically balanced lifestyle. The building offers full air conditioning and bike storage as well as a well known address that clients and prospects will instantly recognise. 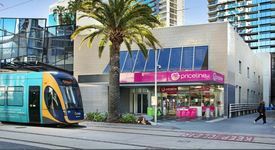 There is plenty of free street parking in the area and good bus links to Surfers & Broadbeach to make your morning commute an absolute breeze. The advertised office space is perfect for a team of 2. If you need more or less space, we have over 30,000 furnished workspaces all over the world suitable for a team of 1 to 200+. Our award winning team offer a free service that will help you find the perfect solution for your needs, so reach out if you need more help. What you get for your weekly rent , 24/7 Access , Access to internal breakout areas , Access to kitchen facilities , Building outgoings included , High speed wifi provided , Electricity usage included , Flexible terms , Lockable storage unit , One simple bill for everything related to your workspace , Premium coffee/tea facilities , Regular cleaning Building features , Abundance of natural light , Air conditioning , Bicycle storage , Car parking Street (Free) , Contemporary fit out , Direct access to public transport , International hotels only 5 min away , Mixed commercial and residential building , Retail and shopping malls nearby , Shared office space 100m to Northcliffe Tram stop 300m walk to the beach 1 min from Thornton Towers Park WHO IS OFFICE HUB? Office Hub has largest collection of shared office space, sublet office space, creative coworking office space and serviced offices, perfect for 1 200 employees. Let us take you on a tour of all the spaces that fit your needs and budget. Our service is complimentary and we work for you and the landlord to negotiate the most competitive deal in the market. Let us show you how shared and serviced offices can be the perfect solution for your business. www.office hub.com.au www.office hub.co.nz Conditions apply A portion of the square meterage factors in access to shared space. The advertised price includes any incentives offered based on a 12 month agreement. If a shorter period is agreed to please note the price may increase accordingly. This promotional offer for new tenants only and may be withdrawn at any time due to space availability. This small trendy office has now just become available on the popular Chevron Island. This corner suite situated above a small cafe has an abundance of natural light and is available for immediate occupancy. 68sqm of office space Complete fit out in place Convenient location Many surrounding cafes coffee shops Plenty of client car parking at your doorstep Available now Approx Disclaimer: Ray White has not independently checked any of the information we merely pass on. We make no comment on and give no warranty as to the accuracy of the information contained in this document which does not constitute all or any part of any offer or contract by the recipient. Prospective purchasers / lessees must rely on their own enquiries and should satisfy themselves as to the truth or accuracy of all information given by their own inspections, searches, inquiries, advices or as is otherwise necessary. No duty of care is assumed by Orchid Avenue Realty trading as Ray White Surfers Paradise Commercial divisions toward the recipient with regard to the use of this information and all information given is given without responsibility. 126m2 of office space full existing fit out in place Basement secure parking Located across from Surfers Paradise's biggest car park Central location steps away from public transport 24 hour secure access air conditioned Available now Approx Disclaimer: Ray White has not independently checked any of the information we merely pass on. We make no comment on and give no warranty as to the accuracy of the information contained in this document which does not constitute all or any part of any offer or contract by the recipient. Prospective purchasers / lessees must rely on their own enquiries and should satisfy themselves as to the truth or accuracy of all information given by their own inspections, searches, inquiries, advices or as is otherwise necessary. No duty of care is assumed by Orchid Avenue Realty trading as Ray White Surfers Paradise Commercial divisions toward the recipient with regard to the use of this information and all information given is given without responsibility. Located on the popular strip of Cavill Avenue, this popular building has a new office vacancy that has just become available. Situated in the heart of the Gold Coast and surrounded by retail shops, cafes, restaurants, coffee shops and public transport, this fully fit out glass office is available now. 135sqm of office space Comprising of glass offices, open plan and reception Large windows offering an abundance of natural light Two lifts servicing all levels On site parking Air conditioned 24 hour accessible Approx Disclaimer: Ray White has not independently checked any of the information we merely pass on. We make no comment on and give no warranty as to the accuracy of the information contained in this document which does not constitute all or any part of any offer or contract by the recipient. Prospective purchasers / lessees must rely on their own enquiries and should satisfy themselves as to the truth or accuracy of all information given by their own inspections, searches, inquiries, advices or as is otherwise necessary. No duty of care is assumed by Orchid Avenue Realty trading as Ray White Surfers Paradise Commercial divisions toward the recipient with regard to the use of this information and all information given is given without responsibility. 95 156m² Freshly painted throughout, brand new vintage style floorboards, brand new air conditioning unit Allocated car park NBN available in area Located next to busy Costa D'Oro Central Lounge Bar close to Hilton Soul towers Air conditioned, exclusive toilet, kitchenette Fantastic signage potential front fascia signage and windows as pictured Approximately Disclaimer: Ray White has not independently checked any of the information we merely pass on. We make no comment on and give no warranty as to the accuracy of the information contained in this document which does not constitute all or any part of any offer or contract by the recipient. Prospective purchasers / lessees must rely on their own enquiries and should satisfy themselves as to the truth or accuracy of all information given by their own inspections, searches, inquiries, advices or as is otherwise necessary. No duty of care is assumed by Orchid Avenue Realty trading as Ray White Surfers Paradise Commercial divisions toward the recipient with regard to the use of this information and all information given is given without responsibility. This executive building has recently received a large refurbishment, completely modernizing the whole space and making it one of Surfers Paradise's most highly sought after locations. Only 3 spaces remain so be quick. 117sqm located on Level 4 soon to be refurbished, the owners will allow a 2 year lease and due to this, have dropped the rent to $280/sqm 110sqm Level 3 office great natural light 183sqm Ground Level presents beautifully private balcony Fully refurbished office suites and amenities Secure building under surveillance 24/7 On site parking Attractive incentives available Situated on the new light rail track only metres from two light rail stations No outgoings No After hours electricity Approx Disclaimer: Ray White has not independently checked any of the information we merely pass on. We make no comment on and give no warranty as to the accuracy of the information contained in this document which does not constitute all or any part of any offer or contract by the recipient. Prospective purchasers / lessees must rely on their own enquiries and should satisfy themselves as to the truth or accuracy of all information given by their own inspections, searches, inquiries, advices or as is otherwise necessary. No duty of care is assumed by Orchid Avenue Realty trading as Ray White Surfers Paradise Commercial divisions toward the recipient with regard to the use of this information and all information given is given without responsibility. Comprising of six levels of ultra prestigious office space, Surfers Paradise's newest office development has everything to cater your every need, from those who love design to those who love the environment. Sizes ranging from 97sqm to 393sqm of premium office space Located a block away from the beach and next door to many cafes, restaurants and shops A 30 second walk to the transit line 5 star green star rating Full existing fit outs, kitchens and shower/locker facilities Two high speed lifts servicing all levels 3 levels of basement parking Free bicycle basement parking Full disabled access facilities all floors#8232; Sensor lighting throughout the building with maximum exposure to natural lighting Minimal spaces still remain Approx Disclaimer: Ray White has not independently checked any of the information we merely pass on. We make no comment on and give no warranty as to the accuracy of the information contained in this document which does not constitute all or any part of any offer or contract by the recipient. Prospective purchasers / lessees must rely on their own enquiries and should satisfy themselves as to the truth or accuracy of all information given by their own inspections, searches, inquiries, advices or as is otherwise necessary. No duty of care is assumed by Orchid Avenue Realty trading as Ray White Surfers Paradise Commercial divisions toward the recipient with regard to the use of this information and all information given is given without responsibility. 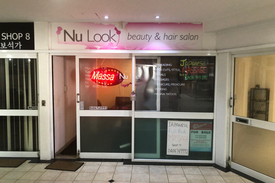 Situated on the corner of Hamilton St and the Gold Coast Highway, this property is positioned perfectly and offers great opportunities for all tenants wanting to lease retail or commercial space in the Surfers Paradise Business District. Currently their are spaces between 53m2 and 263m2 available. 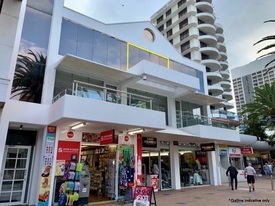 The spaces on offer include the following: GF Retail: 174m2 GF Retail: 121m2 GF Office: 52m2 Commercial Office: 110m2 Commercial Office: 153m2 Commercial Office: 263m2 The Landlord is committed to providing the best value deals in the Surfers Paradise Precinct. We urge any one looking for space in Surfers Paradise to contact Adam Grbcic to discuss how we can cater a deal to meet your needs. Please contact Adam Grbcic for more information.